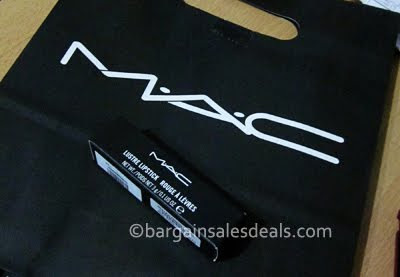 I bought another MAC lipstick few months ago at MOA. I was looking and trying out at various shades but can't seem to find the one that will suit my face. 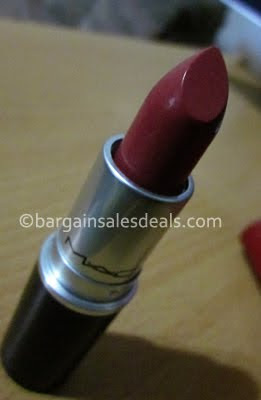 My 1st MAC lipstick shade was the RUBY WOO that asked my friend to buy it for me when she went to the US, like the shade because it was too red for my lips making my face a little bit "dark". 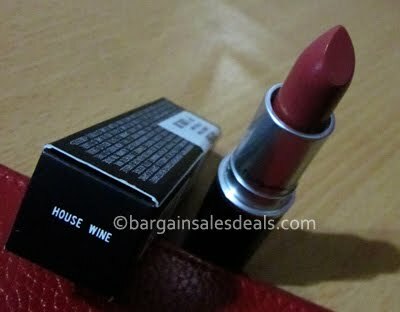 Anyway, I asked the saleslady to pick a shade for me and she suggested this MAC HOUSE WINE shade. I tried it and it's more like of an everyday kind of lipstick nothing too dramatic so I bought it.